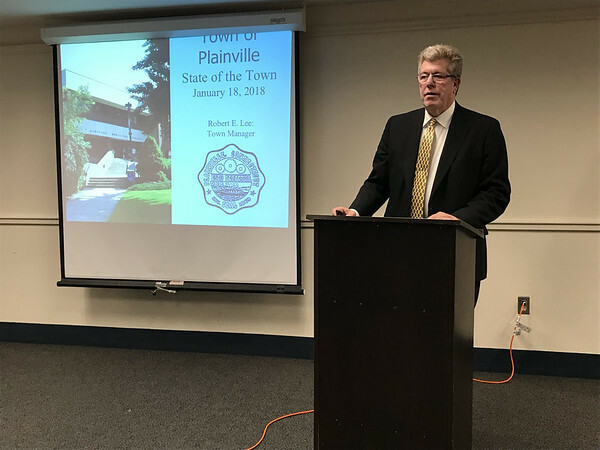 PLAINVILLE - The town has filed its 2018 Grand List, which shows a slight increase over last year. The net taxable Grand List comes to $1,396,621,830, an increase of $7,726,971 over the 2017 net taxable Grand List of $1,388,894,859. This is an increase of 0.0056 percent, which Town Manager Robert E. Lee said was “holding steady” with the 0.0057 percent growth seen in the previous list. The net real estate Grand List increased from $1,147,688,531 in 2017 to $1,153,288,860 in 2018. This is an increase of $5,600,329. “The net real estate Grand List increased as a result of improvements to real estate,” said Lee. The net motor vehicle Grand List increased from $144,694,288 in 2017 to $145,218,590 in 2018, an increase of $524,302. The net personal property Grand List increased from $96,512,040 in 2017 to $98,114,380 in 2018, an increase of $1,602,340. Lee added that, based on the current property tax rate of 33.84 mills, the Grand List will result in $261,480.70 in additional revenues. However, the rate that will be applied to the 2018 Grand List will be set by the Town Council in May. nBRE DDR Connecticut Commons, LLC, an investor, was assessed at $49,626,390. nTilcon, a contractor, was assessed at $13,315,520. nValley Water Systems, a utility, was assessed at $12,764,220. nConnecticut Light & Power, a utility, was assessed at $12,452,700. nDOC-21 North Mountain land LLC, an investor, was assessed at $9,240,910. nManafort Brothers Inc., a contractor, was assessed at $6,928,510. nCarling Technologies, a manufacturer, was assessed at $6,696,330. nYankee Gas Services Co., a utility, was assessed at $6,678,950. nHayes-Kaufman Plainville, LLC, an investor, was assessed at $6,035,410. nClean Earth of Carteret LLC, a manufacturer, was assessed at $4,832,290. If taxpayers are not satisfied with their assessment, they may request an appointment for a hearing with the Board of Assessment Appeals. Applications for these appointments are available in the Assessor’s Office and must be filed by Feb. 20. All appointments will be held in the month of March. Posted in New Britain Herald, Plainville on Sunday, 10 February 2019 21:11. Updated: Sunday, 10 February 2019 21:13.